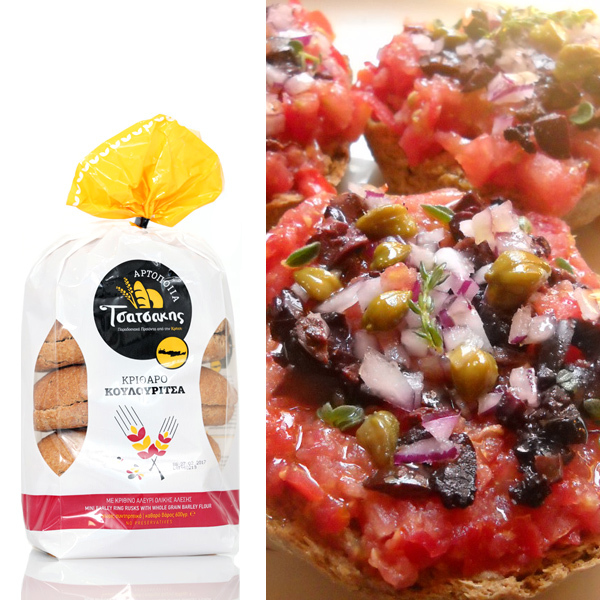 Delicious Cretan rusks to accompany your meal or salad. 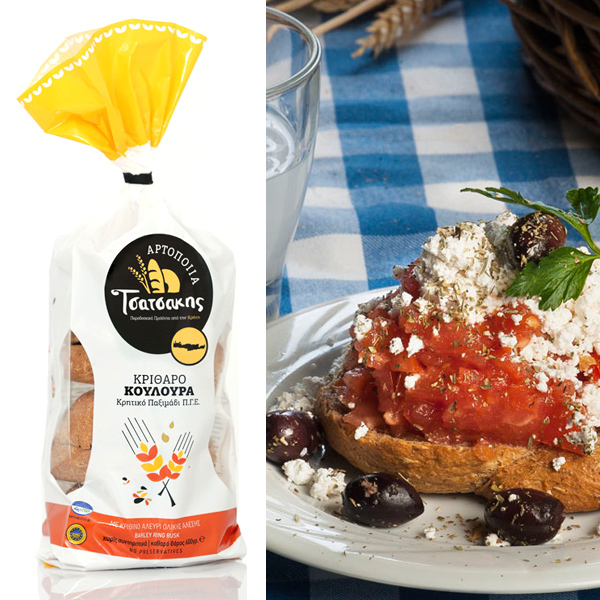 Tsatsakis S.A. began its activities as a family bakery in 1998 in the Stavrakia village, near Heraklion, by five brothers of Tsatsakis family. 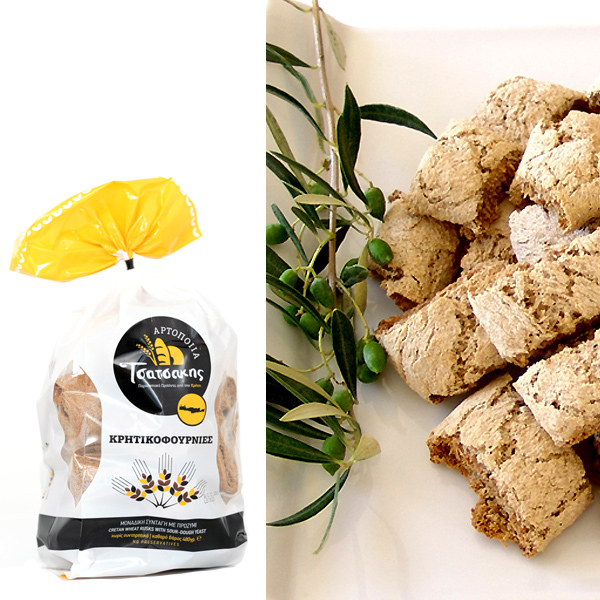 Tsatsakis Company is specialised in the production and distribution of a wide range of bakery products (Breadsticks, crisps, cookies, croutons, Rusks) including traditional Cretan rusks based on Mediterranean diet. Both factories make products of high quality by using pure all natural ingredients, in accordance with the regulations of quality management & food safety management systems. The company is certificated with IFS in Higher level and for Protected Geographical Indication rusks products.